From 1978 to 1985, Cadillac produced some deVille, Eldorado, Fleetwood Brougham and Seville models with an Oldsmobile diesel engine under the hood and if you’re driving one, due to its age it’s probably going to need some diesel auto repair and the kind of TLC that the diesel auto mechanics of Dry Fork Diesel & Auto LLC in Carthage are trained to provide. While most Cadillacs are powered by gasoline, the specialized diesel auto repair these diesel models require should not be trusted to just any auto repair shop that moonlights in diesel auto repair. 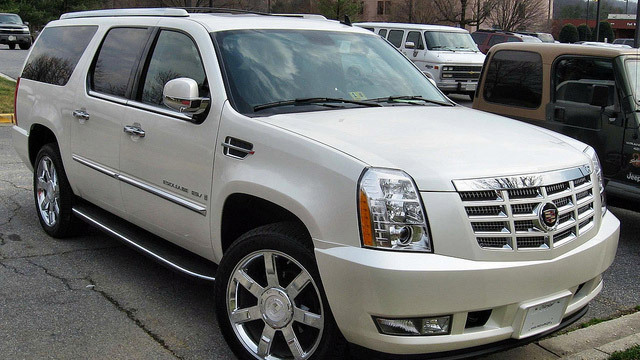 Dry Fork Diesel & Auto LLC’s highly-trained diesel auto mechanics have years and years of experience in the diagnosis and diesel auto repair of Cadillacs and many other car and truck brands. Is your Cadillac a gas-burning model? No problem. Our diesel auto mechanics are just as adept at working on these conventional engines. So no matter whether your Cadillac is diesel or gasoline powered, Dry Fork Diesel & Auto LLC can get you back on the roads of Carthage in no time. And you’ll feel confident, knowing that every diesel and other auto repair is covered by a 3-year/36,000-mile warranty through O’Reilly’s Certified Auto. We’re not just about diesel auto repair: our diesel auto mechanics are also experts at Cadillac gasoline engines. Contact us to set up a time to have our diesel auto mechanics take a look at your Cadillac. Schedule an appointment online, or simply stop by. Dry Fork Diesel & Auto LLC. is located at 16740 CR 138 Carthage, MO 64836.